I’m super hyped for Guild Summit. Making all of your Gates into cantrips sounds awesome, and there could be a sick deck there. 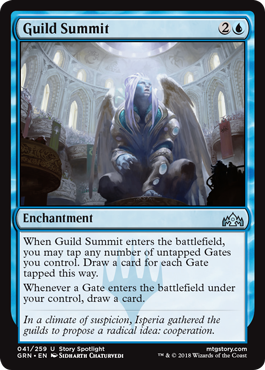 I especially like that it pays you for Gates in play and ones you draw later, which makes this look like a strong incentive to draft that deck.